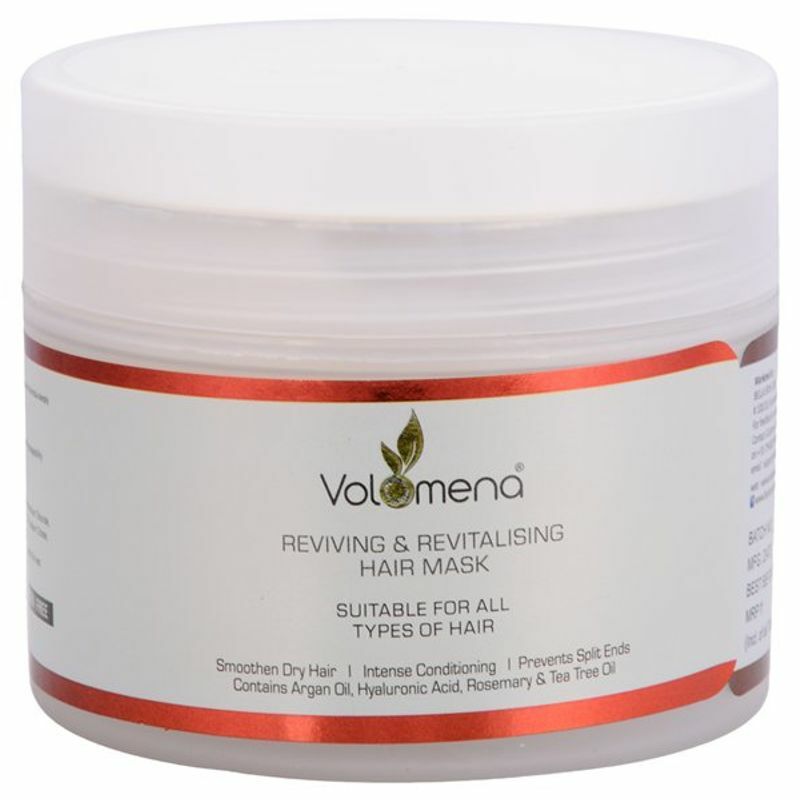 Volamena Reviving & Revitalizing Hair Mask is enriched with Hydrolyzed Collagen, Sodium Hyaluronate, Argan Oil, Rosemary Oil, and Tea Tree Oil. 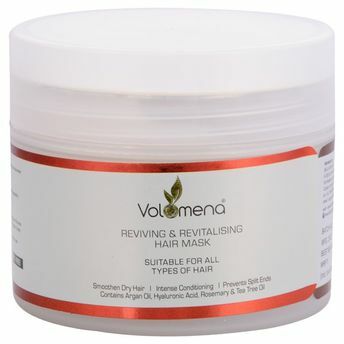 This extra conditioning hair mask helps tame the terrible tresses and gives you back your luscious locks. Hair in need of extra conditioning can benefit from this 15-minute revival treatment. Ideal for thick hair, the high-performance, Argan oil-rich formulas deeply hydrate and condition while dramatically improving hair's texture, elasticity, shine, and manageability. Contains Hydrolyzed Collagen, and Sodium Hyaluronate which repairs and hydrate hairs, Organic essential oils of Rosemary and Tea Tree prevents split ends and dandruff.